How Free Live Traffic Feed works? Install on my Blogger and Wordpress? IP address widget shows the visitor's information. Get free static website counter for your website. Allow users to track the visitors count for their webpage. Real Time online visitor static counter and tracking widget. See exactly where your site visitors are from in real-time. Lets you display the number of users visitor online. Your Live Traffic Feed keeps 100 most recents visitors. If the feed is in the top 30% of your web page you can watch it all day and it will continue to show new hits. If it's below the top 30% of your web page, it will stop updating after 3 minutes until you refresh webpage. Keep a track of your customers 24/24. Our Live Traffic Feed keeps the 100 most recent visitors. Share about us if you like. 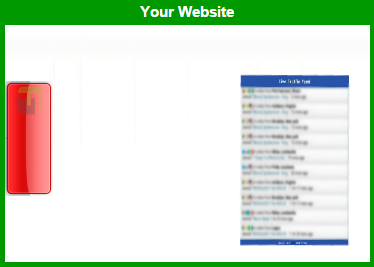 Live Traffic Feed provides a good way to see the list of recent visitors of your website. The data include the exact location (country and city), IP address, time and more than. All our services, including the Live Traffic Feed widget and website analytics are completely free with secure connection (HTTPS / SSL) . The city and country your visitors. The opera system and browser your visitors. The website they arrived from. The page they visited on your website. Save time visited on your website.